Evok is a Mega Home Store operating across the country as a home styling and furnishing division of Hindware. 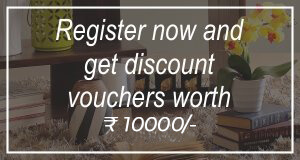 Evok Stores showcase over 20000+ world class contemporary products in Home Furniture, Soft Furnishings, Home Décor & Accessories, Wall Fashion and Modular Kitchens. As your home styling expert, it also provides various other services including Turnkey Installation & Post Care Services. Taking fascinating homes to a different level with the introduction of contemporary modular kitchens, Evok is stepping a notch higher in home designing domain. Due to customization features, modular kitchens are gaining popularity in today’s time. Here, we present to you a range of various styles of Modular Kitchens and its components, along with ideas to make your home a stylish paradise. Contemporary lifestyles require a reflection in home styling as well. Hence, the Island kitchen- a fashionable unit that uses one wall with another smaller unit either parallel or at a short distance from it. It is popularly preferred by those who do not want complete parallel formats and have plenty of space to use. There is a special kind of kitchen is for those who seek more from life. Evok presents the U-shaped kitchen with lavish storage space at the base and on the wall. 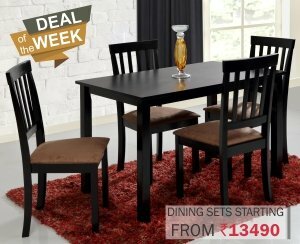 Its stylish slab can also be used as a casual bar-styled dining table. This setting offers the option to use it as a serving space leading to the adjacent dining area. To embellish a small kitchen space with a contemporary style a straight line kitchen, crafted by Evok, is the perfect solution. Designed for a studio format/smaller homes as the complete work station, the module stands on one wall and is in a single line. You can also choose from a wide range of features and shutter options to make your straight line kitchen more functional and stylish. A parallel kitchen works best for families where a single person does all the cooking, and there’s a large space available. It's a kind of kitchen unit that uses one or two walls with units parallel to each other. This kitchen is functional and also gives you more room to work. Soup it up with the host of styling and accessory options from Evok, and get the dream kitchen you’ve always wanted. Functionality is the main focus of any kitchen design. We, at Evok, aim to provide you with a solution that is both practical and fashionable. 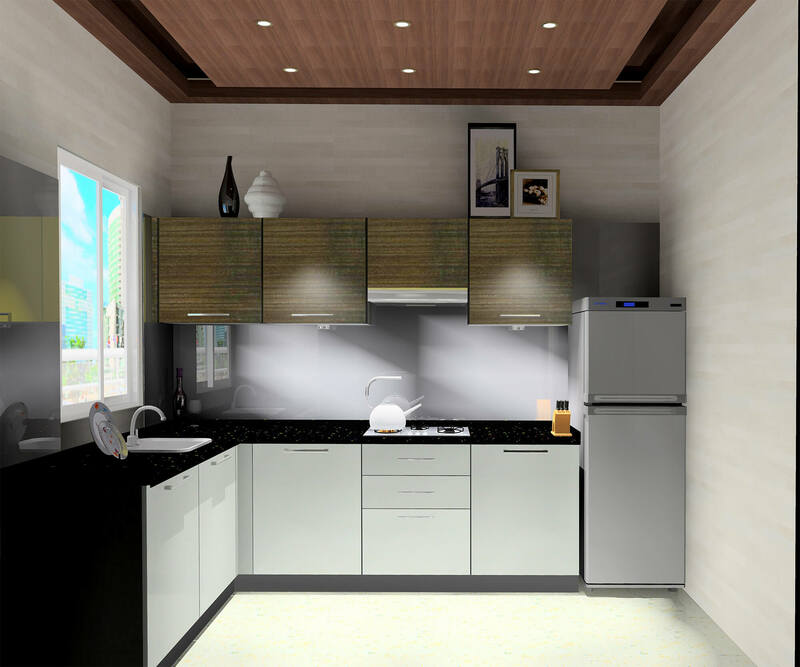 The L-Shaped kitchen is one of the most sought after layout owing to the fact that it gives more preparation, cleaning and storage space, ensuring disturbance-free movement of people in and out of the kitchen so the cook doesn't get troubled. It can also be used as a casual dining area by adding some stools at the corner. A modular kitchen comprises of a number of components. To help you get a clearer understanding of the concept, we have broadly classified the kitchen into 5 components. The carcass is the basic structure of the kitchen and is responsible for its structural base. In simple words, it’s the foundation of the skeletal structure of the kitchen which gives rise to the entire model constructed around and over it. The carcass usually comes in MDF/PLY-Marine or BWP/BWR grade. 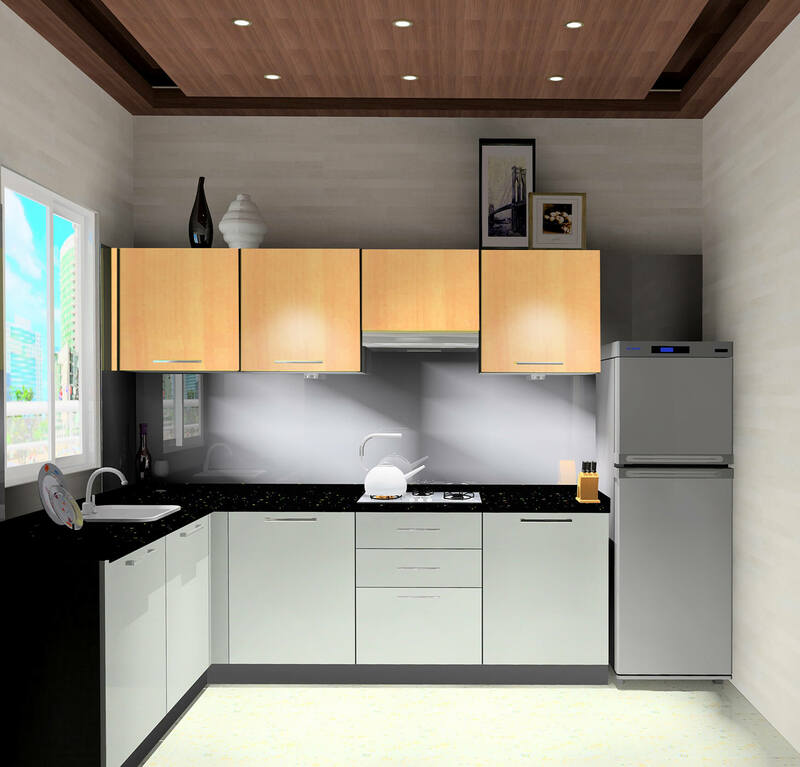 We, at Evok, take it as a duty to provide you with the perfect solution, standing true to our promise of good quality products with accurate consultation in terms of what kind of carcass would best suit a particular kitchen space/house. Shutters are the part of the kitchen that are visible to the eyes. Markets are flooded with a wide range of shutters in various design and finish. The base material used is MDF and numerous variety of finishes like PVC foil, Standard foil, Designer foil, High gloss foil, HPL, Acrylic, UV polymer, PU Paint etc, are easily available to choose from. As your home styling expert, Evok provides a wide range of shutters in superb style, design and colour options. At Evok, our market network associates us with the best hardware manufacturers from across the globe. We take pride in providing the best-in-class mechanisms to make your kitchen functional and of the most superior quality that lasts forever. Evok is constantly evolving and innovating to give your home the perfect make-over. We strive to achieve this by providing products and services that assist you in your day- to-day chores and maximize your comfort. One of our offerings is the Skirting option in modular kitchens- ensuring highquality and convenience, and the assurance of a hassle free and beautiful kitchen experience. The overload safety feature safeguards the hinge from damage if the door is slammed. The deactivation switch enables small or light doors to close with the same high quality of motion. Easily interchangeable with current compact hinge. The Full Extension Mechanism comprises of various slides which can be used in drawers, file cabinets, kitchen baskets, etc. Its functionality is to ensure easy and smooth sliding. This mechanism gives the convenience of "holding the drawer in its slot", which holds drawer in place and ensures it doesn't fall out of its slot even if it is fully drawn out. Soft close is a mechanism which reduces the speed of a door or a drawer as it closes on its own. 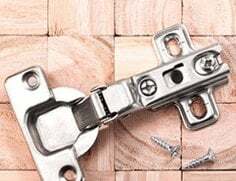 The door or drawer is pushed back normally, the moment it reaches the last 25 degrees of closure the soft close mechanism will act, and the door or drawer will slow down immediately and then close gradually and silently. A kitchen design in today’s time is far beyond the basic sinks, slabs, etc. Kitchen experience has come a long way from simple cooking to enjoyable cooking. To give you the perfect cooking time, we offer a range of appliances especially made for new age kitchens- like Cooking Hoods, Hobs, Cooktops, Dish Washers, Bar-be-que Grills, Built in Microwave Ovens, Built in Ovens which not only provide extra ordinary functions, but also gives an avant guard look to your kitchen.